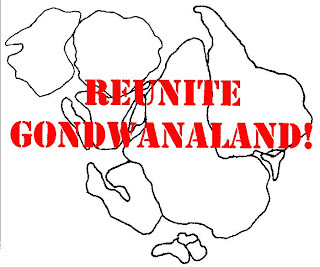 One of the most enduring features of our planet, Gondwana (or Gondwanaland) was a composite continent, made up of South America, Africa, Madagascar, Antarctica, India, other parts of South Asia, and Australia. At one time it even included Florida and most of Southern Europe. Your mission is to “go around the world” in 72 hours, collect ingredients from the different continents and seas, and reunite Gondwanaland in your dishes. Plan, prepare, plate and present no later than midnight on Monday, April 20. Results of the judging to be posted on Earth Day. Entries will be judged on plating (both porcelain and tectonic) and originality. So grab your passports and weigh anchor, chefs, it’s time to set sail!